Borrowers whose incomes come from commissions or from being self-employed have a more difficult time qualifying for a traditional home loan. Whether for a primary residence, a second home or an investment property, self-employed borrowers in Atlanta or those who write off 2106 unreimbursed expenses will be the most likely to benefit from the Bank Statement Loans for the Self-Employed. As its name would suggest, to get bank statement loans for the self-employed you need to provide evidence of solvency, specifically in the form of bank statements from the past 12 – 24 months. These can serve as the means for a down payment. The lender makes a loan based on the terms of the Qualified Mortgage (QM) rule. If a lender makes Qualified Mortgage loan, it means the lender met certain requirements and it’s assumed that the lender followed the ability-to-repay rule. Why are tax Returns not required? Because they don’t reflect true income. Self-employed people can take advantage of a slew of tax deductions related to their businesses, from retirement plans to business meals and entertainment to interest on business loans or business credit card interest. It reduces their taxable income, so Uncle Sam doesn’t empty their pockets at tax time. And that is the main reason qualifying for traditional mortgages is so hard, in addition to the ups and downs of self-employed’s income. What if one borrower is not eligible? If one of the borrowers meets this eligibility requirement and the other does not, the borrower that is not eligible must fully document their income. The net deposits used from the bank statements for the self-employed borrower must not reflect the income that is fully documented for the other applicant (i.e. deduct Social Security payments, W-2 wages, etc.). What banks or mortgage brokers make Bank Statement Loans for the Self-Employed? You can search the internet. Many lenders I found are seeking borrowers for equipment or borrowers seeking payday loans. 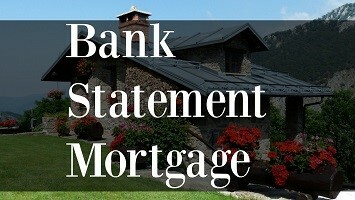 It is hard to find actual businesses specializing in Bank Statement Loans for the Self-Employed for mortgages. I would suggest talking with your real estate agent. In addition the programs offered vary in the lowest FICO credit acceptable and the amount of loans available. We are Val Buys Houses LLC and we are here to help and educate. We take pride in thinking outside the box. Every problem has a solution but you may need to get creative to come up with it! Give us a call today at 404-844-8845 to let us know what YOU need help with!